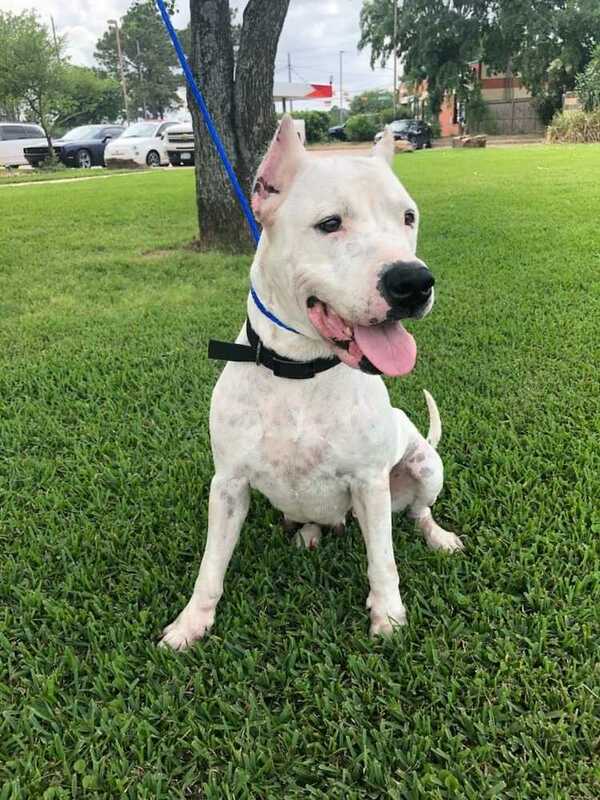 Sassy is a 4 year old fun female dogo argentino who was saved by a vet tech in Texas when her owner tried to euthanize her when she wasn't feeling good. After a few months of love and TLC she was ready to go to a home. But the home she went to in Kansas let her down and she was found wondering outside of a Dollar Store in Jacksonville, FLORIDA!!! A good citizen took Sassy to Alabama with her because the folks there wanted to call animal control. This is when DC Dogos came into her life and flew her to a temp foster in Alabama then to her foster in North Carolina. She definitely lives up to her "Sassy" name as she walks like a diva! She knows how pretty she is a total charmer! She loves her humans and even the little ones. She doesn't seem to react to cats but has shown some reaction to dogs. However, once she settles this could change and we will be sure to update if it does. Sassy's new family will need to have the time to give her love and attention, she likes that! They also need to make sure to keep her ears clean and free from issues that can easily lead to infections for her. If you are intereted in adopting Sassy please apply!